India welcomes you with its riddles, ancient wisdom, exquisite aromas, spicery and lost treasures. You will visit Taj Mahal, enjoy perfect beaches of Goa, explore ancient cities. Complete matching levels while travelling along the mighty Ganga River and find the forgotten temples of the past in the jungle forests. Each new level is more difficult than the last, so prepare for an exciting time! Your journey around the world begins, welcome to mysterious India. 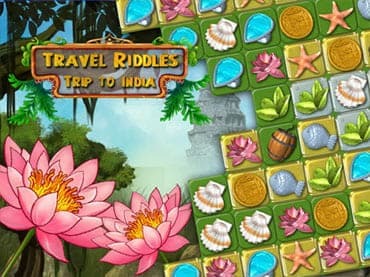 If you have questions about Trip to India: Travel Riddles game, please contact us using this form.